It's difficult for a photographer to stand out, and a common response is to turn toward bigger and more imposing subjects. Not so for photographer Kamelia Pezeshki, whose work focuses on individual details of what might have been a larger subject. These microcosms reflect an invisible macrocosm, creating charm, mystery and intrigue in each piece. A tempting cup of Turkish coffee rests on a saucer; why has it been left there and who might have left it? 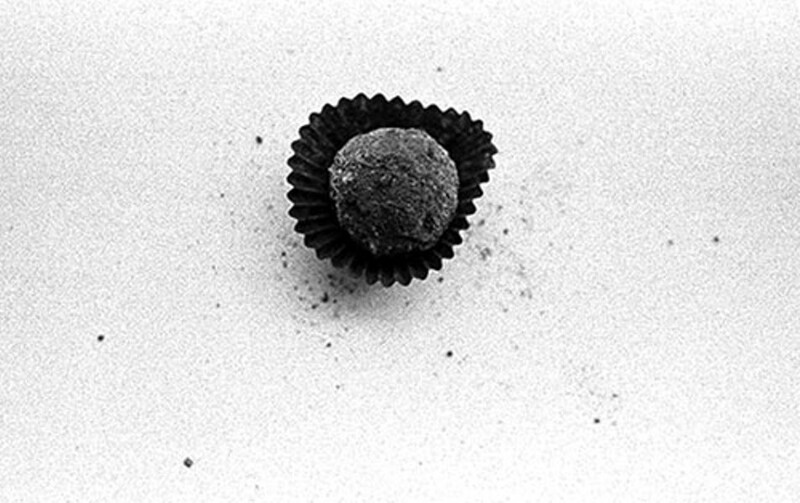 A cocoa truffle is carelessly left on a crisp white background (pictured); who could possibly delay indulging in such a delight? A glass goblet is filled with shells; what oceanic creature made these their home? The past decade of professional artistic productivity for Justin Wheatley has been anything but dull and predictable. And Wheatley's current showing of break-through new works demonstrates a great leap forward in the artist's development. Wheatley's distinctive multimedia techniques showcase the skills of a craftsman combined with the sensibilities of an artist. His earliest works bore great visual appeal; his strong focus on subject and a flourishing of compelling iconography made for powerful compositions. 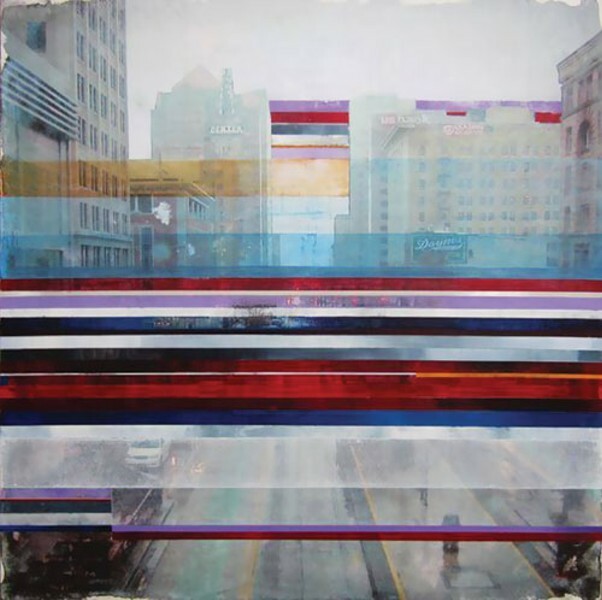 His current cityscapes are muted, with a hazy layering creating a detachment. Complicated familial relationships have formed the basis of many classic dramatic works over the years. But Amy Herzog's 4000 Miles—an Obie Award winner and Pulitzer Prize finalist—takes a unique approach by sidestepping grand confrontations and focusing instead on the connection between two characters who seem like they should have plenty in common, but still struggle to connect. Manipulative. Idealistic. Villainous. Heroic. These are just a few of the adjectives commonly applied to the protagonist of Henrik Ibsen's Hedda Gabler. Hedda is a beautiful young bride fresh off her honeymoon when unexpected visitors awaken both Hedda and the audience to her lack of enthusiasm for domesticity. In the midst of precipitating events and characters' muddled motivations, things quickly get real, so to speak. Ibsen has been called the father of realism, and Hedda Gabler is his most popular play. Its characters are among his most complex, most intricately developed and, of course, most real. Ibsen's characters are walking contradictions that some of us like, some of us hate, and few of us understand.